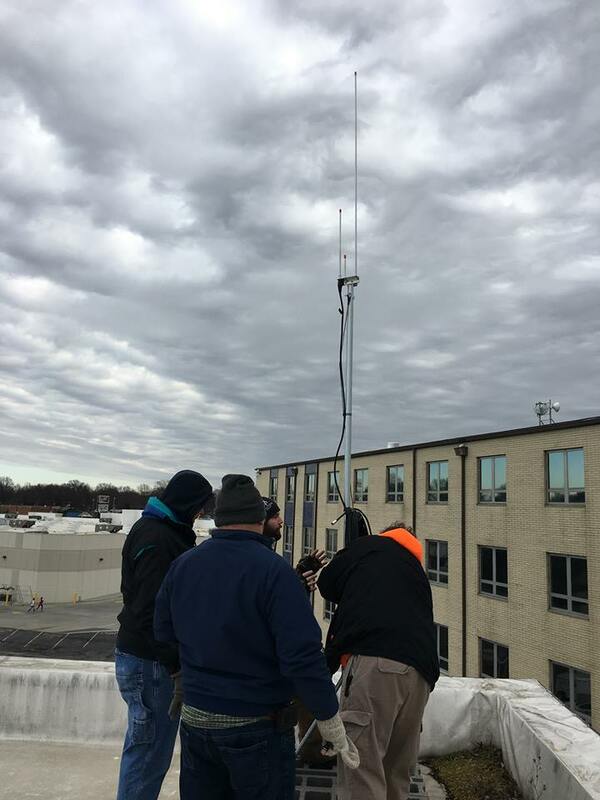 On 12/31/2016, in the midst of all the holiday confusion, the weather was nice enough to perform the rest of the needed antenna work at the Red Cross. 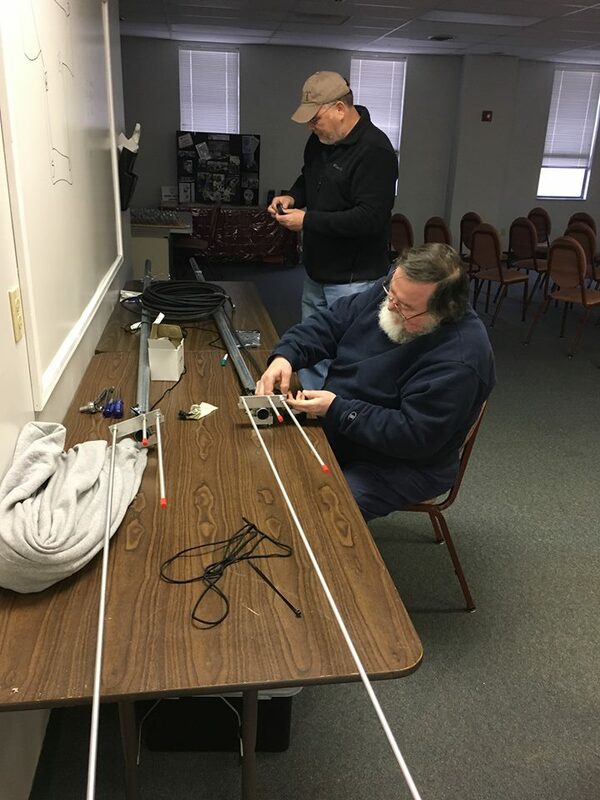 We placed 4 Arrow J-Pole antennas and a 5th support mast as well as an approximately 300' wire loop that will be tuned with an SGC-235 Remote Tuner. After the initial confusion of organizing the 17+ people that arrived we got the work underway with a roof crew and a room crew. 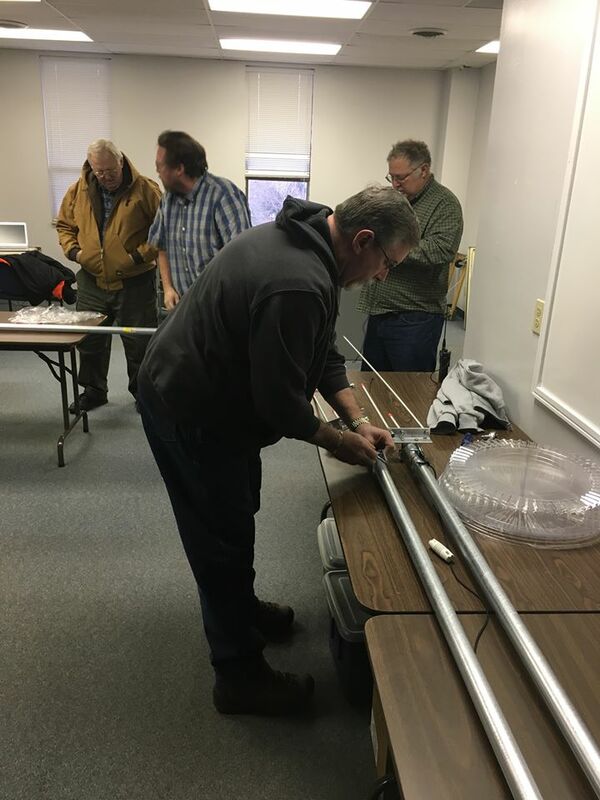 The room crew assembled the masts by placing the antennas, coax runs , the support clamps and the rope pendants for the loop. 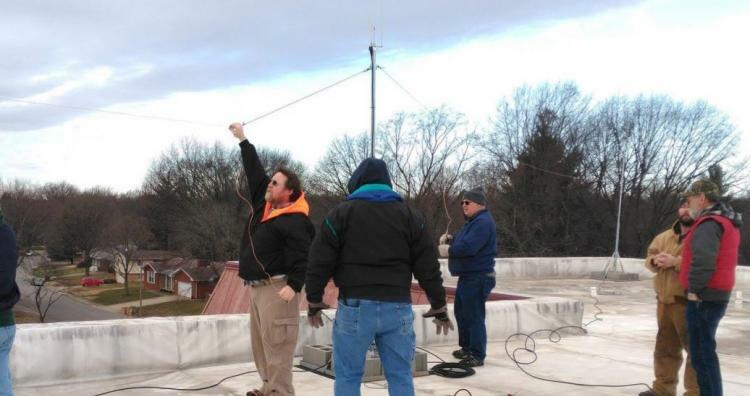 The roof crew then installed the masts and threaded the wire for the loop through the 5 supports. 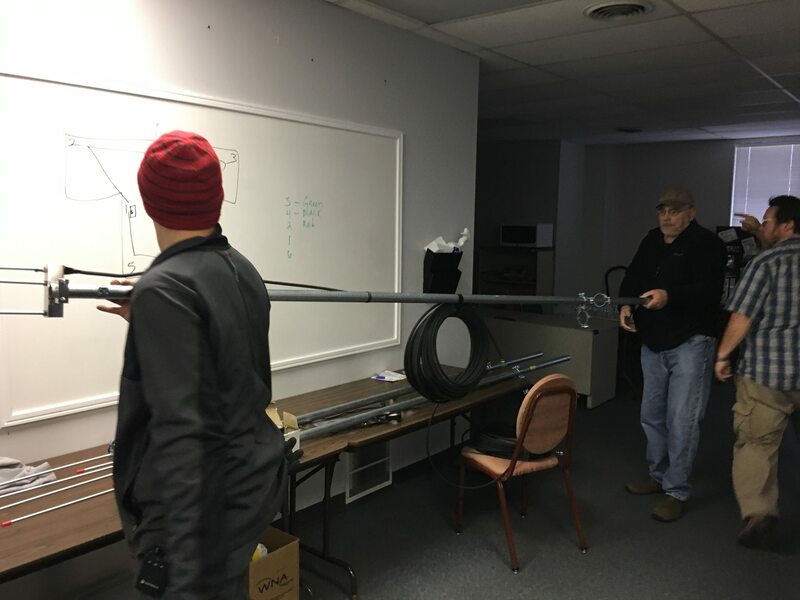 The coax runs were routed to an anchor point and then over the roof edge and through the northwestern window in our space by means of a custom built window pass-through. The five coax runs were color coded at both ends so we could identify them later. Murphy did show up in this process as we noticed that there were two runs of coax both color coded red as we were routing the coax down the side of the building so we cut one of the red tags in half to make it identifiable once we got back downstairs. The offending run of coax will be re-coded to a unique color in the near future. Murphy reared his ugly head again during the testing of the loop. Initial testing gave us confusing results and an impossibly high SWR. Frustrating to say the least as I had actually bench tested this equipment two days before with positive results. Obviously this isn't how this technology is supposed to work. 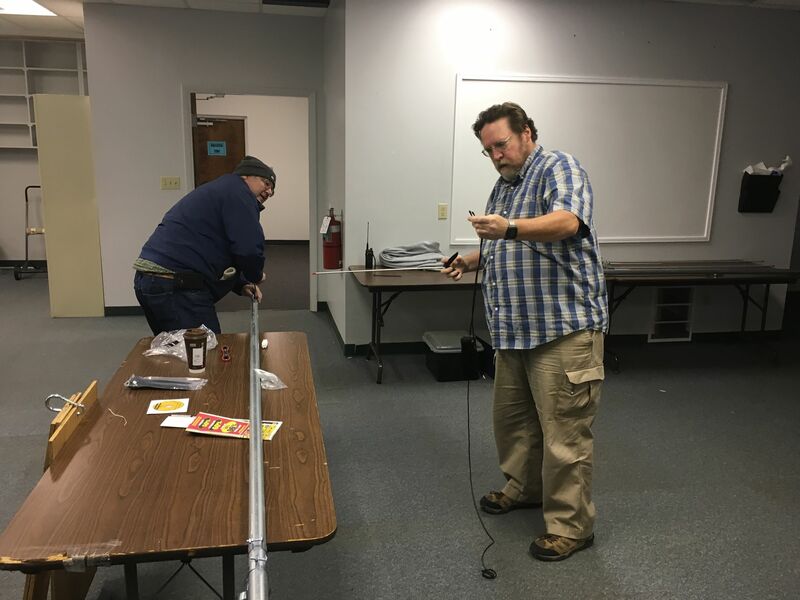 Now that I'm not tired from the excitement of the project and the cool fresh air, it occurs to me that what I didn't bench test was the Barrel Connector between the tuners initial coax run and the coax run that we used to extend it to the necessary length. I also didn't bench the 50' run of brand new coax, but I don't believe that is the problem due to the reputable sourcing of it! 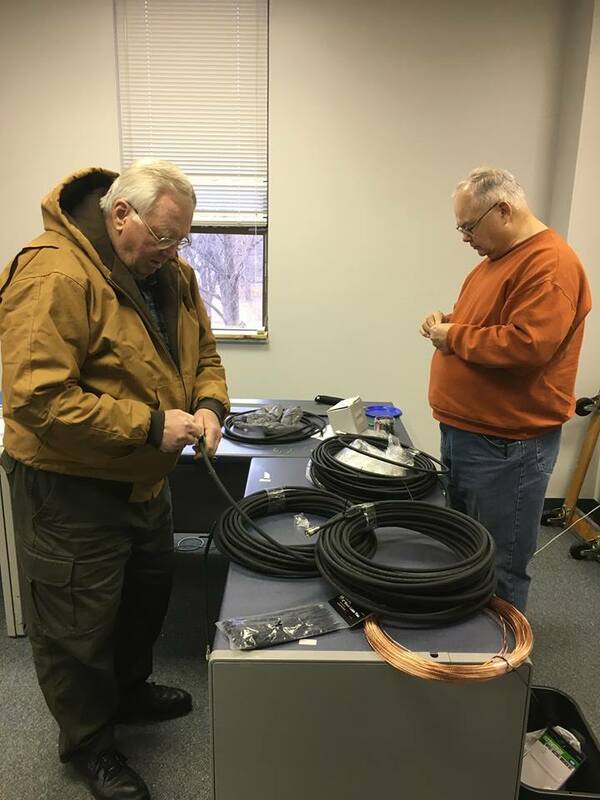 I hope to source a new barrel connector and swap that out before the weather takes a horrid turn as it so often does in Illinois this time of year. Hopefully this work will be completed be before the January Club Meeting.